Does anybody have any idea what to do about this? I suggest contacting Customer Support under Help near the bottom of the page and tell them you're having this problem. They should be able to help you or to get you something that works better. I was able to install University normally and it's about 95% done, when it asks to put The Sims 2 base game cd 4 in. I do that and it starts to look for some updates, but suddenly it stops and says it couldnt be done and uninstalls the game completely. I tried it couple of times but it did the same again and again. Prior to installing or after uninstalling, do some maintenance - disk clean up and defragment, restart your computer then install. If you don't do this there will be remnants of your previous game which causes re-installing to reach some percentage of installing then cancelling. Also ensure the disk is clean too. I think the problem lies with the fact University Life was the first expansion pack for Sims2. 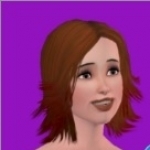 Sims2 enjoys all expansion and stuff packs to be installed in the chronological order that they were released. Is your Sims2 Base Game a multipack? Part of it, may have to be uninstalled, install University Life, then whatever the other combination is. Hey, my issue is solved. I contacted EA about it, and they didn't actually solve it, but instead gave me The Sims 2 Ultimate Collection.. Which i wasn't expecting at all. :D The downside of it, is that i had spend the entire last week on finding all the expansion and stuff packs for the sims 2 and had actually bought them already.. So they'll be arriving for me this week. But that's ok, as long as i can get playing soon! Awesome~ I was hoping they would. Happy Simming!